Dive into the wide world of spices and herbs with more than 80 simple, elegant recipes that will spice up your kitchen game and improve your long-term health. 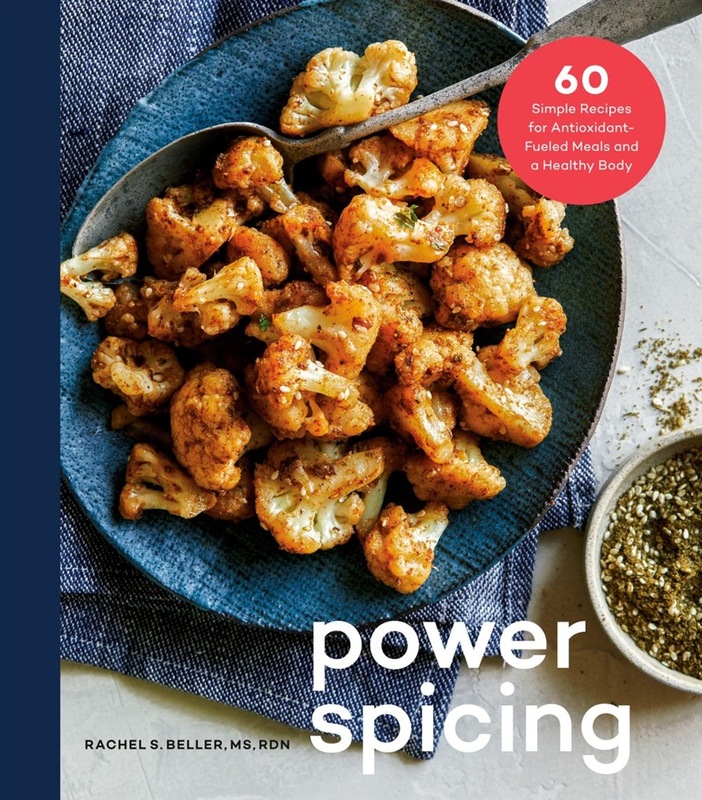 Power Spicing is your primer to demystifying the healing powers of spices and their ability to fight inflammation, burn fat, protect your organs, and boost your metabolism, all while enjoying flavor-packed dishes throughout the day. From turmeric that gives your morning latte its antioxidant boost to cayenne that infuses that bar-snack popcorn with an anti-inflammatory kick, spices are superfoods in their own right. Registered dietician Rachel Beller teaches you how to build a spice pantry while sharing the health benefits of each and explaining how to help them work synergistically—for example, anti-oxidant, cancer-fighting garlic is even more effective when combined with rosemary. Whether you’re in search of quick tricks such as stirring paprika and sumac into homemade hummus, or whether you’re looking to boost your weeknight repertoire with a Glowing Green Frittata or Simple Weeknight Salmon with Chimichurri, Power Spicing boasts countless ways to mix and match spices in order to get the most out of every dish you create. Acquista Power Spicing in Epub: dopo aver letto l’ebook Power Spicing di Rachel Beller ti invitiamo a lasciarci una Recensione qui sotto: sarà utile agli utenti che non abbiano ancora letto questo libro e che vogliano avere delle opinioni altrui. L’opinione su di un libro è molto soggettiva e per questo leggere eventuali recensioni negative non ci dovrà frenare dall’acquisto, anzi dovrà spingerci ad acquistare il libro in fretta per poter dire la nostra ed eventualmente smentire quanto commentato da altri, contribuendo ad arricchire più possibile i commenti e dare sempre più spunti di confronto al pubblico online.